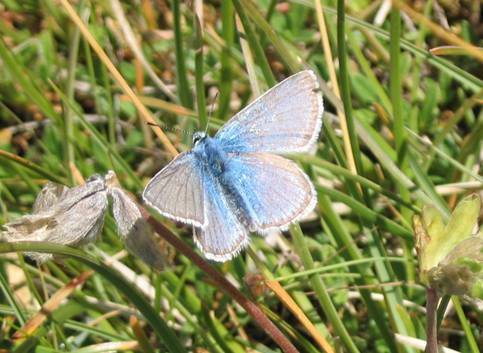 This species is rather like an 'upland version' of the Common Blue and certainly the undersides could prove difficult to separate although I find eros has a rather colder, grey feel to the ground colour on this surface. 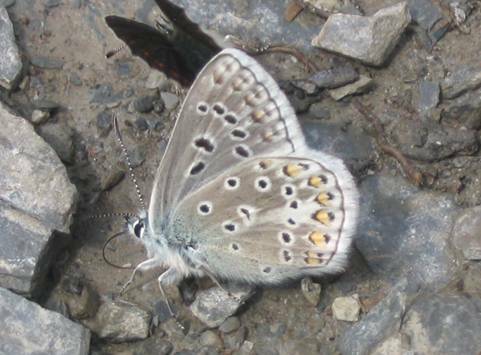 The upperside of the male is quite characteristic however. I like the Higgins/Riley description of a 'pale, shining blue with black marginal borders wide'. I think the spotting around the edge of the upper hindwings is fairly typical too. 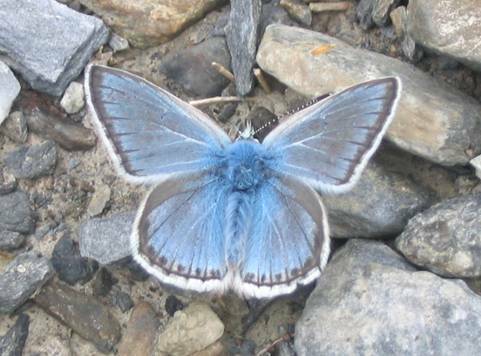 These butterflies were scattered over Alpine meadows in Switzerland above 2000m and in similar habitat in the Pyrenees in Spain.